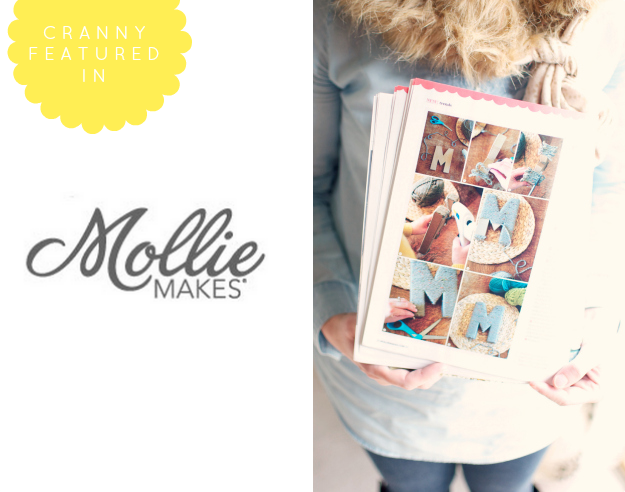 I am so excited to share this news with you: Cranny has been featured in Mollie Makes! You can view my yarn letter tutorial in the current issue of Mollie Makes magazine, Issue 20. (I picked up my copy at Barnes and Noble.) I couldn't be happier that Cranny's very first magazine feature is with such a beautifully designed magazine, not to mention the kind and helpful staff behind such beauty. A big thank you to Lara, Deputy Editor at Mollie Makes, for sending me that first note, with those magic words, "I'm emailing from Mollie Makes magazine and wondered whether you'd like to do a project for us?" And the rest was history! Thank you Mollie Makes! And, thank you, to so many of you who have already sent sweet notes of congratulations on this exciting news for Cranny! ps. Did you hear? 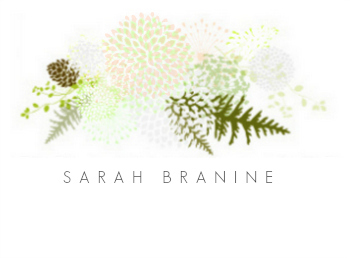 Britt M was the winner of the Minted giveaway! Congrats! Hooray! I'm so proud of you! Also, PS, got my calendar in the mail this weekend. Or should I say calendars?! You sweet girl!! Thank you so much (gorgeous packaging job, BTW). Not only are we going to frame and hang one in our home, we're going to get to give one away. Thank you!!! Sara, thank you, thank you! I have to warn you, the mag is a little pricey-- you might just want to flip through it. I promise, the tutorial isn't anything fancy! But you are sweet to get excited over it for me! : ) Praying for you guys and love you lots. Britt-- you got it! You'll hear from Hope at Minted tomorrow, probably. Congrats!! Erin, pal, you are so sweet. Thank you for these sweet, sweet words. Totally made my day. Love you-- and, oh my word, THANK YOU so VERY much for the advent calendar!!! You are so sweet! Thank you so much, Bekuh! that is such exciting news!! (sorry, I think I'm the last one to see the news!) I hope this launches to many exciting projects - you deserve it for all your amazing & hard work!